You are probably familiar with the National Geodetic Survey’s OPUS suite of online post processing tools (OPUS-Static, OPUS-Rapid Static and OPUS-Projects.) These services are capable of producing centimeter-level positioning from static GPS observations. What you may not realize is there are at least six viable alternatives to OPUS. All are free, easy to use, provide world-wide coverage, and generate surprisingly similar results. Since each uses a unique baseline tool and processing strategies they form an excellent reality check against each other. IGS orbits and the IGS permanent CORS arrays are used by many of the services, however some use proprietary equipment arrays and orbit products that provide additional redundancy. How comparable are these services? Which one is the best? The true/correct answer for any site is unknown. What grading scale should be used? Should elevation differences be weighted differently than horizontal differences? Should the peak-to-peak range or the standard-deviation be prized? Should comparisons be made on long 24-hour data sets or short 2-hour occupations? Is a single data set sufficient for a meaningful comparison or are multiple data sets preferable? Should a service be ‘thrown out’ of consideration because the solutions are substantially different from the mean? The answer to all of these questions is “it depends.” Your evaluation will depend on your specific application. Choose a site known to be stable with a clean EMI environment. Use 24-hour observation sets to enable ‘best case’ processing. Use a sufficiently large data set, 32-consecutive days, to expose trends. Choose a time period, 90-days in the past, so precise orbits are available to reduce ephemeris effects. Use default settings for every option on each processing service. This would not be as interesting without a little competition. Range was chosen as an indicator of the expected maximum error that might be encountered if only a single 24-hour file was observed. The combined range rewards a processing scheme that best estimates delays, interference, clock errors and other sources of change that occurred during the 32-day trial. Remember that the every aspect of this ‘competition’ is arbitrary: from the selection of observation sets, to the final scoring system. The real take-away from this evaluation is not that one service is better, but how close all of the services are to each other. Two services (JPS’s APPS, magicGNSS) won’t be acceptable to the average user and a third (RTX Centerpoint) may not work for some users based on receiver and antenna support. Details of these problems are presented with the service descriptions below. SGU1 in St. George, UT USA was chosen as the observation base. The observations consist of 32 consecutive days (May 3, 2013 through June 3, 2013), 24-hour observation files, 30-second interval, GPS only data. The data files were downloaded from the NGS CORS archive. Each of the 32 files were submitted to each of the processing services and the results have been tabulated for X, Y and Ellipsoid Height. All data is presented in IGS08 current epoch framed coordinates. All data has been projected to UTM Meters for these comparisons. As you can see in Figure 1 above, the services were generally within 5mm of OPUS in X, Y and Height. There is a significant issue in the JPL APPS’s reported output positions, which will keep it from being of any use to most users. magicGNSS’s results are significantly different than the other services. User’s should independently evaluate magicGNSS’s suitability for their purpose. SOPAC’s SCOUT could not be evaluated because it patently does not support either the receiver or antenna that was used at the test site. AUSPOS is a free service from Geoscience Australia. Access is via a simple web interface, the antenna height and type are entered along with a email address for the returned report set. File submission is via FTP or directly from the web interface. The returned PDF report is the best looking of the reviewed services and includes a Processing Summary showing a map of the CORS sites that were used in the solution. SINEX files are also available. AUSPOS uses the Bernese GNSS Software for processing baselines, IGS orbits and IGS network stations. Solutions are available for anywhere on the earth. RINEX files need to be at least 1-hour in length, 6-hour files are recommended. Compact RINEX files are also accepted. Files may be compressed with UNIX, Hatanaka, ZIP, gzip or bzip compression. CenterPoint RTX Post Processing is a free service offered by Trimble. It works anywhere in the world and is based on a proprietary Trimble 100+ worldwide CORS network. Accuracy is 2 cm with 1-hour of observation data; 1 cm with 24-hours. Files longer than 24-hours are not accepted. RTX uses GPS, GLONASS and QZSS tracked SV’s. The reported output frames include ITRF2008 at current epoch and a user selectable frame like NAD83/2011 2010.0. RTX is one of the few services that will directly export NAD83 framed results. A single page PDF and a XML result file are returned by RTX. Unfortunately, it is not possible to copy numerical results from the read-only PDF result file to the clipboard. RTX supports a limited number of receivers (Trimble, Ashtech, Javad, some Leica, some Topcon) and a relatively small subset of IGS modeled antennas. For this test, TEQC was used to stuff the RINEX headers with a comparable Trimble receiver to the actual Ashtech ProFlex 500 receiver that is in use at SGU1. This was all that was required to spoof an accepted device. If the antenna had not been listed, it would have been necessary to spoof the antenna and adjust the height to reflect the difference in L1 phase center offset. GAPS is an ongoing project at the University of New Brunswick and was developed by the Department of Geodesy and Geomatics Engineering. Submitted filenames must adhere to the SSSSDDDh.YYt file format. GAPS accepts RINEX and compact RINEX files, they may optionally be gzip, unix compressed or ZIP compressed. WARNING! APPS only reports the derived position to the nearest decimeter-meter in geographic (lat/lon) coordinates, while reporting ECEF coordinates to a fraction of a millimeter. If you choose to use APPS, you will need to manually convert the ECEF XYZ to geographic coordinates. JPL’s APPS is based on GIPSY-OASIS (currently version 5). APPS uses NASA’s 70+ Global GPS Network plus densification from other systems (100+ total receivers distributed globally.) Solutions are typically available with 5 seconds delay from observation. APPS is easy to use, you just specify a file to upload and then click on ‘Upload’ it takes only 15 seconds to get a result after the file upload is complete. You can optionally register for a free account and use email or FTP for bulk uploads. APPS also has receiver Live Performance Monitoring: (http://www.gdgps.net/monitoring/index.html) which generates a real time graph of three receivers spread through the world. Long occupations (6+ hours) result in excellent horizontal and GPS-derived ellipsoid heights. The new OPUS-Projects service processes multiple receivers through multiple sessions to a final processed network adjustment. Before using CSRS-PPP, you will need to register for a free user account. CSRS has a fantastic desktop application named PPP-Direct that you can just drag and drop files onto. PPP-Direct automatically submits the file and saves all typing, greatly reducing the chance of error. CSRS-PPP uses both GPS and GLONASS (if available) observables. Ocean Title Loading corrections can be overridden. CSRS-PPP will accept single frequency files for processing. CSRS will accept RINEX and Compact RINEX, and will decode ZIP, GZIP and unix compression formats. CSRS-PPP has a fantastic PDF report, a .csv file detailing results epoch by epoch and a great machine readable summary file. The desktop submission tool, coupled with the great output reports made CSRS-PPP my favorite tool. magicGNSS accepts emailed files and returns solutions by email. Turnaround time is fast and features a nice PDF report plus SINEX, receiver clock bias files, tropospheric delay, KML trajectory and RINEX CLK clock bias files. Static and kinematic files with observations from GPS, GLONASS are processed by magicGNSS and the service reportedly Galileo-ready. magicGNSS uses a subset of IGS stations to provide core coverage. Scout accepts RINEX and compact RINEX files, compressed (Z, gz, ZIP) submitted from an FTP site or pushed onto a provided FTP server. Files must be generated on a limited subset of receivers and antennas. While the IGS antenna and receiver files are the basis for acceptable devices, not all IGS-listed devices are on the allowable device list. SCOUT documentation specifically warns against spoofing devices and antennas. SCOUT uses the GAMIT processing engine. Because the test data for this article is from a unsupported receiver and the submittal process requires a FTP host server with anonymous access which most users will not bother with, the output from SCOUT was not evaluated. The similarity of results between all of the services I processed is amazing. That they differ only by millimeters demonstrates the robustness of the algorithms and processes they use. The difference between AUSPOS, RTX, GAPS, OPUS and CSRS-PPP solutions are negligible. For important positioning projects, it undoubtedly makes sense to use them all. For locations in the United States, OPUS and RTX return NAD83-2011 framed results. Only OPUS returns derived orthometric heights using GEOID12A. While OPUS has more provenance than the other services, it is easy enough to submit important observations to multiple services as a reality check for important positions. As you read from Mark’s report above, even though OPUS is shut down until the U.S. Congress can resolve its differences, don’t let that stop you from processing your GPS static sessions. However, some level of due diligence on your part is needed as requirements vary for each service. For example, static sessions for the OPUS-RS service can be as short as 15 minutes while other services require two hour GPS static sessions. Furthermore, some services process GPS L1 data while others require both GPS L1 and GPS L2 observations. 7 Comments on "Seven Free Alternatives to OPUS GPS Post-Processing During U.S. Federal Government Shutdown"
Very interesting. Also, very confusing. FTP server, sinex, klm trajectory, Geoid12A, etc.RTX uses GPS, GLONASS and QZSS tracked SV’s. SV’s ?, QZSS = some other country’s satellites like GLONASS is Russian? Sorry for the loose and frequent usage of acronyms. It’s easy to do when swimming in one’s own soup. FTP server is basically an file storage place on the internet. KML Trajectory is the ability to plot a path in Google Earth. QZSS = Japanese regional GPS augmentation satellite system. It’s not a global system like GLONASS, Galileo, GPS. I really appreciated your article. I did not know the other possibilities for worldwide use. The criteria that Mark used was very clear and practical. If you allow me I would only suggest some statistical tests in order to proof that results are statistically equal. A very useful article. I am based in the UAE and have been using the CRS-PPP for more than a year now. I looked at others when I started but found it to be the best. Do you know of any alternatives to the HTDP utility? I am thankful for your preliminary testing of these services. If you didn’t do this testing already, I would assume that most persons/organizations would have to do the comparisons for themselves. Our Department relies on OPUS for project submittals to the NGS. These sites will give us the preliminary opportunity needed to analyze some critical components for our projects. 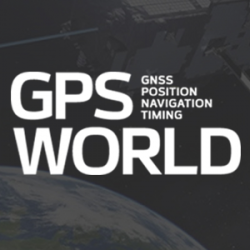 We sent a mail some time ago to the address linked in GPS World Gakstatter’s author page, with our analysis for the discrepancies found with magicGNSS’ solution. We trace that to the test station’s noise level and our measurement rejection’s policy: increasing our rejection thresholds brings our solution closer to the others. We would really appreciate some feedback about it. your tasks, you need to mainly list your essentials.